Happy Saint Patricks Day! !, for those folks who may be celebrating it anyway… Today surely is a special day for a whole bunch of people all over the world. Well, for me, too! No, it’s not because on the Internet apparently it’s my birthday today, which it isn’t (Thanks ever so much everyone for those kind and warm wishes shared across though!). Once again, and like I have been doing for a couple of years now, I *lied*. My actual birthday date is in February (Yes, I am a true Aquarian! ), as I have hinted elsewhere already, but in a way it is my birthday today as well. At least, what I would consider having been reborn again into the current life I have been enjoying for the last 8 years and counting… Indeed, 8 years ago, on March 17th, 2004, on such a special occasion as St. Patrick’s Day, I moved to Gran Canaria, as my permanent home. And I haven’t gone back anywhere else ever since! If you have been reading this blog for a long while you will notice how, despite the odd and awkward experiences here and there with my business travelling, I do enjoy traveling all over the place quite a bit. It’s probably the best option out there to get to know places, people, their languages, their customs, their traditions, their cultural traits, and whatever else. Amongst one of the best learning experiences in life. It’s also probably the best option to meet up a good bunch of close friends who no longer live near you in the same city, country or whatever, but that thanks to the wonderful world of the Social Web they are scattered all over. But, to be honest, the main reason why I love traveling, is because every time that I do it gives me an opportunity to treasure and appreciate why I work and live in Gran Canaria. My home. You know, time and time again, when I get to present at conference events, summits, workshops, seminars and whatever else on the initiative I started over 4 years ago on living “A World Without Email“, and how the world of Social is helping us transform the corporate world of the 21st century as well as our societies as a whole, it surprises plenty of people how I can still get away with having ditched corporate email, rely quite heavily on social networks for business and still live and work in Gran Canaria. Even more when my own boss is thousands of kilometers away from me… Well, that’s my story. And I am surely grateful to my current employer, IBM, as they have been employing me for the last 15 years to give me an opportunity to demonstrate there are other ways to contribute, make yourself useful, have an impact, and enjoy with a passion what you do on a daily basis. Regardless of where you are in the world. It no longer makes a difference. Remember the blog post I put together a couple of days ago on “Everything is connected to everything“? That’s what I have been trying to prove all along. That with the emergence of much more effective and efficient collaborative, knowledge sharing and social networking tools we now have an opportunity to redesign how we do work, where we do it and with whom. And how it’s that flexibility and work life integration that would surely help knowledge workers become a lot more attached to the work they do, with a rather strong sense of belonging, ownership and co-responsibility for wanting things to work out just all right. To always want to improve the way your business does business, even if that means facing as well the ugly parts, to try to solve them in a meaningful and purposeful manner. All in all, to become more engaged, transparent, open, nimble, in short, sustainable and smart enough to carry on for a few decades more in perhaps one of the most complex, yet exciting, times in our lifetime as a species. That’s why I am celebrating today my 8th year anniversary since I arrived in Gran Canaria. I never expected I would be staying over here that long. In fact, after my family’s home, it’s the place in the world I have lived the longest in a row. And while I don’t know how much longer I would be living over here, since that’s something that you can never plan anymore these days (Welcome to the world of uncertainty! hehe), I can certainly assure you all that, to me, it’s all about enjoying every single minute of it, yes, the good old carpe diem, because you never know what’s going to happen tomorrow. Oh, well, hang on, yes, I know what’s going to happen tomorrow. Actually, beginning of next week, when I am on the road again for a couple of business trips to Belgium and London (again!) and where you can imagine how much I would be looking forward to coming back home and be greeted with something special , something that 8 years ago welcomed me to be part of its family, its extensive community, and still accepts me to be there for who I am. 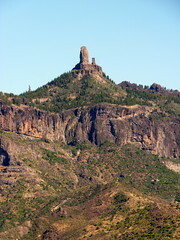 Yes, that’s Gran Canaria. That’s my home. That’s my life. We may as well enjoy it, don’t you think? Again, Happy St. Patrick’s Day, for those celebrating it, and happy 8th year anniversary, @elsua 4.0! Time to go off now and enjoy plenty of the beauty this paradise on earth island has got to offer! Ohhh, and if you ever come to pay a visit on your holidays or next business trip, get in touch! I would be delighted to show and guide you around … Or check my Foursquare’s checkins for some of the best places to hang out, as well as enjoy some of the most beautiful surroundings with incredibly friendly people and superb food. Oh, yes, I am a #foodie, too! But I am sure you have noticed that already, haven’t you? As I have just mentioned in my last blog entry, the last few days I have been embarked on my latest business trip, coinciding with a wonderful visit all around to Helsinki, Finland, where my good friends from IBM Finland invited me over to participate on the IBM CIO Forum event, with the rather innovative initiative of “Redefining Work 925“, and a couple of other events, and where, after being there for about three days, I think I may have just experienced the future… The future of a fully networked and interconnected world… Our world. And what it would look like altogether. And, yes, it’s much more exciting and brighter than whatever I could have ever imagined! As a road / air warrior, I get to travel a fair bit and visit not just mainland Spain, but a bunch of other countries in Europe, and North America. I have yet to visit South America, continental Africa and Asia, although I know it will all come together eventually at some point, but if there is anything that Helsinki, Finland, has shown me in the last couple of days is that you can have more than a decent Internet connection, and for free! !, while you are carrying on with your work and personal life helping it become ever so much more engaged, participative and interconnected with the Social Web available out there! For a good number of years I have always been complaining (Yes, I guess it’s complaining, because that’s probably what I have been doing all along…) about how poor the quality of wi-fi and Ethernet connections are in a good number of countries I have visited (US, Canada, Spain, France, UK, Germany, Ireland, Belgium, Portugal, Mexico, Netherlands, Hungary, Switzerland, etc. etc.) and on top of that how expensive it is for the quality of service that we get, even worse here in Spain, where the prices for ADSL, for instance, are some of the most expensive in Europe with the lowest bandwidth! And not just at hotels, conference venues, Internet kiosks, regular 3G connectivity, etc. etc., but also at our own homes! I was reaching the point of believing that we would have to get used to living through such poor quality standards of service with no remedy, waiting for our ISP providers to keep making big bucks while never delivering, and eventually give up on it all. Ouch!! Well, see the difference? Maybe not! Maybe we should not get used to such poor quality standards on providing wi-fi connectivity, regardless of the venue. While In Helsinki, I certainly experienced the future. And it is just gorgeous and bright! It’s something that I never expected it would be quite shocking as it was, yet so rewarding and fulfilling. Have you ever heard about being empowered, as a human being, thanks to technology and the Internet, regardless of whatever you may be doing? Well, I experienced that! And so much more! I met a bunch of wonderful friends over there, some of whom I have been wanting to meet up in real life for the last few years, like Esko Kilpi or Riitta Raesma; met other new friends like Saku Tuominen, Petra Sievenin, Harri Ohra-Aho, Marko Laukkanen or my fellow IBM colleague Ville Peltola, amongst several others (Too many to mention!! ), who are working on some pretty amazing stuff related to the Social Enterprise field, yet for them that amazing pervasiveness of a fast and speedy Internet connection is a given. Well, perhaps it should be for us, too! It was quite a liberating experience, to be honest, to be socialising in the true sense of the word, i.e. going to bars, restaurants, and whatever other hang-out places and find out that each and everyone of them had really good, decent, and FREE, Internet connections for their customers to enjoy while having conversations with your friends. Social, for me, while on the road, has taken a new meaning. One that I’m finding it hard to come to terms with it, because, usually, when I am travelling abroad, as soon as I leave Spain, I am in the dark, don’t have data, nor do I incur in the hugely expensive and abusive roaming charges that the European Union keeps doing nothing about to our mobile providers over the course of the years and it’s starting to become a rather frustrating experience. Even more, when I suspect that Finland is not the only case where that pervasive Wi-Fi access and service have been phenomenal all along. Denmark would probably be also one of those exceptions at the same level as Finland in helping us all understand that things can be much different, once and for all! Like I experienced myself as well last Wednesday, while I was at the airport waiting for my connection to Helsinki and the free wi-fi was just as good! For now though, here’s an interesting question I would want to put together out there for someone, whoever that may well be, to provide an answer to it, to close this blog post: What do we, human beings, need to do to get some Decent Internet Access over here in Western Europe? Where did we go wrong? Anyone care to venture an answer for that one? Clearly we do have leading examples like Finland or Denmark, so what’s stopping us from truly empowering us to fully live the Social Web the way it was meant to be all along for all of us: universal, pervasive, free access to information, knowledge, AND connections, i.e. the people? Is that just too scary? Anyone? As more and more blog posts are starting to come along sharing further insights on some of the major highlights from the recent IBM Lotusphere and IBM Connect 2012 events held last week in Orlando, Florida, I guess it’s now time for me to start sharing my two cents on what both events were like, what I learned, what I thought were some pretty interesting developments and happenings, as well as a bunch of other tidbits that I think would prove useful to share over here in this blog. So over the course of the next few days, perhaps couple of weeks, and in between other blog entries here and there, I will be sharing plenty of those highlights pointing folks out to individual keynote and speaker sessions that I enjoyed quite a bit attending and learning from, but this time around with a slight difference. Not going to give entire details for each of them, since for the first time ever that I can remember, and over the course of the next few days, we are going to start seeing how recordings of live streamed sessions, as well as presentations for each of them will be shared out there publicly for everyone to enjoy, if not already. So, instead of sounding a bit too repetitive, I’m going to be sharing my thoughts and personal opinions about what I gathered from each of the sessions I attended, as well as the overall events themselves. Ready? Let’s go! I couldn’t start this series of blog posts without mentioning something that I have talked about in the past, while trying to redefine my own Social Web experience, and which from there onwards it’s now pretty much shaped how I view things with regards to technology, connectivity, and all things social, whether attending conference events live or not. I guess, at this point in time, if you have been reading this blog for a while now, you will see where I am heading, but, to be honest, I couldn’t kick-off this series of entries without commenting what, to me, has been one of the major highlights from the overall conference events from last week: once again, and for the zillionth time, the conference wi-fi connectivity throughout the entire week failed big time. Appalling. A mega fail, actually, if I may add! So, why am I saying that incident was one of the most powerful and empowering highlights from the overall event? Am I crazy? No. Not really. At least, not anymore. If you folks remember, there used to be a time when I tended to get really upset whenever I would be attending technical conference events and the wi-fi connectivity would not be working accordingly to meet up the expectations we all had. Not that I would want to constantly be connected to the Social Web for my own purposes, but, essentially, because for the vast majority of the occasions I always was very keen on sharing along, through live tweeting, further insights and additional thoughts that those of us, who were privileged enough to be there in person, could share with those who didn’t have that opportunity. Over time one comes to the conclusion that in today’s world it’s almost impossible to host and organise a technical conference without taking for granted that the wi-fi connection will fail. Even for IBM itself. I am saying almost, because there are a couple of exceptions where really relevant events have managed to make it happen consistently over the course of time without failure and the experiences have been phenomenal, for both folks attending the event live and those watching from the distance. Yet, for the vast majority, they haven’t been able to make it consistently. And, once again, IBM has fallen into that trap as well, once more. Why am I saying “once again”? Well, because, if you folks would remember, last year the connectivity throughout the entire week of Lotusphere was just absolutely brilliant! Yes, there were a couple of hiccups here and there, but overall it was just fantastic! So energising and refreshing seeing how your own employer can get it right with regards to providing a beautiful experience to help connect the dots, those physical and virtual ones, that I guess I was expecting too much this year. You know, if you set up the standard that you know how to make wi-fi work at large conferences, and you succeed big time!, the least I am going to expect is that in following, sub-sequent years you would be able to keep up with that expectation and meet, once again, that standard. No rocket science, right? And that’s exactly what I did! I put down my iPhone and my iPad and started embarking on some pretty massive offline social networking talking and conversing with as many people as I could possibly find and bump into. Whether they were folks I knew from the past, or just recently met, or just got introduced to them, I basically pretty much didn’t stop networking throughout the entire week! And that was just absolutely delightful!! Even if I didn’t have enough physical hours to meet up with all of the folks I wanted to talk to and catch up with!! That’s when it came to me the realisation that perhaps we need to look with fresh new eyes into how we participate at live conference events. Take for a fact that the wi-fi connection will fail, what’s next? Well, to me, from now onwards it’s going to remain pretty much exactly like I did during the course of last week: network, network, network! Knowing that there would always be replays for some of keynote and breakout sessions through the live streamed recordings, knowing as well how the vast majority of the presentations would be made publicly available has certainly helped a lot as well in another aspect that I wasn’t really aware till I faced it myself. How many times have you been engaged on an amazing conversation with other fellow attendees, to then realise you need to dash off quickly into the next breakout session. Then the heat of the moment is gone, and the conversation dies right there?!? Far too many times, don’t you think? Well, I missed a bunch of sessions just because of that! I made a conscious choice that I rather prefer to have the human contact, that human touch of the conversation, that sparks that inspiring moment you know you can bump into while meeting other people and be wowed big time than rushing off from one session to another. And it was the perfect choice! Because over the course of the entire week I have been involved in quite a few amazingly deep conversations on the topics of Social, Adoption, Enablement, Collaboration, Knowledge Sharing, Communities, Learning, you name it, and right now my head is spinning with plenty of ideas that I would want to share over here across with you folks, as reflections, in multiple upcoming blog entries. I guess that’s probably the main point of “Recap and Reach Out“, that Mary mentioned in her article, while jotting down these thoughts over here in this blog, which, in a way, doesn’t sound like such a bad idea, don’t you think? Perhaps that’s my own way to contribute, from here onwards, into the Social Web after attending all of these conference events and see that, since we are not going to be connected, we may as well do something much more productive: stay focused, learn, engage, converse, practice and truly live offline social networking! The Social Web is always going to be there. You might not have another chance of meeting those people, face to face, you are learning from a great deal any time soon! So you may as well take the chance and dive right in! And that’s exactly what I did! As frustrating and irritating as not having good, reliable connectivity last week at Lotusphere was (By spending those 15 minutes to get connected initially) like I said above, this year, the event has been one of the very best yet to attend and learn plenty more about all things Social, as well as the Social Enterprise. The most rewarding bit from the overall event was the huge amount of conversations I had with plenty of customers, and business partners, who were very keen on sharing their success stories, their experiences with adoption, their journey to become fully socially integrated enterprises and their passion for helping drive, redesign and redefine the future of the workplace for the corporate world of the 21st century. Not just for their businesses, but also for their own customers’!! In short, to me, Lotusphere and IBM Connect this year have demonstrated clearly how the conversation has moved from the trying to justify the WHY and the WHAT (Yes, the sempiternal set of inhibitors, showstoppers and ROI related questions) into the more socially transformational the HOW. Biggest key takeaway for me so far has been having learned from them all so much in over the course of one week than the last six months of trying to catch up with the Social Web. Yes, indeed, and I should be grateful to the lack of connectivity to be able to do that, because, from now onwards, I will be coming back for more! Now, I just need to ensure I do justice to all of those folks I talked with and learned from, as they are about to be featured on upcoming blog posts, from yours truly, where I will be sharing their story, which I guess is just probably as good as it gets… Applying storytelling and narrative to business, and, in particular, solving business problems through the lens of Social. Who would have thought about that, right? As interconnected and networked as we are, we are back to basics: sharing and learning plenty more from one another and from our own stories that we keep telling while meeting up face to face, something that even the Social Web would never be capable of replacing. And perhaps it shouldn’t. It makes us all much more approachable, closer, engaged, in short, humane and that is a good thing! 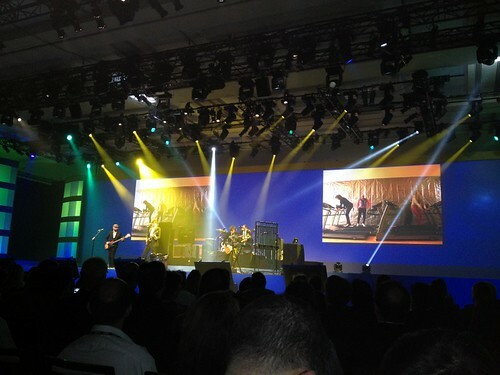 Now that Lotusphere and IBM Connect 2012 are both behind us, and what a truly amazing experience that was altogether!, it’s time for me to come back to the blog and resume those regular blogging activities as before, once again. Lots to share and lots more to talk about! However, and before I get things going covering some of the major highlights from both events and what I learned from them, I would want to put together this blog entry to share with you folks one of those incredibly depressing and horrifying experiences one can get exposed to when doing business travelling: being treated, without much respect, like a mindless object by an airline company on your way home. Yes, indeed, once again, travelling for business has taken a new low for yours truly that I am not sure I would even be capable of recovering from any time soon. And this time around with a different airline from the usual suspects I have been travelling with in the past. An airline that last year was voted #1 US Airline for Business Travellers, but that this year it seems they have soon forgotten about it, including its partners. 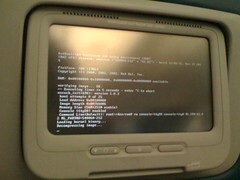 This time around the culprit is Delta Airlines. Last year I heard plenty of really good things from colleagues, friends, and fellow biz travellers, about all of the pleasant experiences they kept having with Delta Airlines advising me that the next time I would go to the US I should go ahead and try them out and see what it would be like. So this time around, as I was heading over to Orlando, Florida, for Lotusphere I decided to give them a try and fly with them. That was a big mistake. The one way trip was absolutely delightful and uneventful. The way business travelling should well be, a standard, even if too long in transit, but very doable. Very friendly staff and really good service all around. And, surprisingly, everything on time!, which, if you folks have been following my recent travelling over the course of the years is something that I do appreciate quite a bit, since it hardly ever happens anymore. However, the roundtrip was a different story. Well, actually, still is, since I’m currently travelling back home having left Orlando on Saturday afternoon and won’t be arriving home till Monday evening, marking a new record for me of an outstanding 58 hours in transit all along! Yes, 58 hours before I can finally be home! How can that be, you may be wondering, right? I mean, after all, you were flying with #1 US Airline for Business Travellers. Delta Airlines. What happened? Well, a whole bunch of misfortunes, to say the least. That’s right, the following is an approximate account of what happened in the last few hours and although I know that nothing is going to happen about it, nor that I would be worrying much about it anyway, since it was my first time, and last time!, I will be flying with it, and its partners!, I figured I would go ahead and share it along, as a way for me to keep me sane and get it out of my chest before I go crazy thinking how surreal it all was right from the start! I would probably agree with you folks that what you are about to read further on below is a rant, something that you may all find it a bit surprising altogether, since I hardly do that over here in my blog, but I thought I needed to get it out there as a liberating exercise for yours truly, more than anything else, because I am a firm believer that if you set a certain standard and a concrete set of expectations it’s the least we can expect from you, as a business, that you keep it up and you maintain it. For your own good, not just ours. Something that perhaps Delta Airlines may have lost with the change to the new year. That’s why I would also share this word of caution with you all and advise you to stop reading, should you not want to muse further on about this experience that has completely changed my perception of what business travelling should be all about. I will try to tame myself as much as I possibly can, since being angry and upset will never take you anywhere, as we all know, specially, in the written form, but there are just some things in life that we, human beings, should no longer tolerate in today’s time and age: being treated like an inanimate object you can shuffle around just like that to suit your own needs. Never mind theirs! We are all people and we should be all treated as such! And failure to do that implies that what once was a respected and trusted airline, highly recommended by friends and colleagues, is no longer the case. At least, for me. It all starts, like I have mentioned above last Saturday afternoon, when I headed over to Orlando Airport, a.k.a. MCO, to embark on the first leg of two back home to Madrid, then to Gran Canaria (This last leg on a different airline, by the way). Arriving with plenty of time is something I have already gotten used to, since you never know what may happen, so this time around it wasn’t any different. I was there with plenty of time and already with my boarding passes sorted out, ready to embark. We finally parked at the gate, or whatever you would call it, and managed to get myself on the front row to get out of the plane as fast as I could, thinking that if my flight to Madrid would be delayed by just a little I would still be capable of making it. You know, what are the chances your flight would be leaving late? Plenty, right? Well, wrong! This time around the plane left on time and you should have seen me running like crazy from Concourse A to Concourse E in just a couple of minutes! I had to make it to that plane whatever it would take! 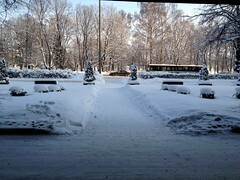 It was my last chance to arriving home by Sunday afternoon. Well, there went my hopes when I arrived at E2 (The farthest point possible!) and my flight to Madrid just left 5 minutes before. Yes missed by a mere 5 minutes!! All of that running and heavy sweating for nothing!! Why did I bother? The ground staff were very kind and polite in understanding my desperation and advised me to go to the ticket counter where they could try to rebook my trip for the next flight. I knew from before that I would still have a couple of options to flight that Saturday evening. One to Amsterdam and the other one to Paris, from where I could take another flight (A new one altogether) to fly directly home by-passing Madrid. So I arrived at the ticket counter and the nightmare begins… A huge queue just ahead of me, meaning my flight to Paris was already a lost opportunity, since I wouldn’t be able to make it to rebook my flight and take that one that was supposed to be leaving a short while afterwards. It took ages for the queue to clear out itself till I got my turn, by which time the flight to Paris was already on its way out. So after talking to the affable, sympathetic and rather amicable Lilia, one of the various customer service representatives, I ended up on a cul-de-sac, because she could not rebook me for the flight to Paris, for which I was already too late, and the flight to Amsterdam was already fully booked. Desperation and frustration levels on the rise! And big time! Usually, I am not too bothered if I miss a connecting flight. These things happen on a regular basis, so one gets used to it over time. But this time was different. I needed to fly out that evening to arrive in Europe on Sunday, so I could get back home on that same day as on Monday morning I would need to deliver an online webinar to 100+ fellow colleagues in IBM Switzerland and needed to be sharp and fresh for that presentation since it was going to be broadcasted to a live audience. Starting to see my stress levels on the rise as well, once more, I asked for the supervisor to offer an opportunity to make it up for the whole mess I was getting into and see if we could get something else going on. After a while I finally got to talk to her and mentioned to her that, in principle, I wouldn’t have a problem flying out on Sunday evening, as long as I would possibly manage to get an upgrade to business class, so that I could very well get a good night rest arriving to Madrid on Monday morning ready for that webinar. Something I thought would not be much of a problem, nor an issue, for Delta to arrange seeing the big mess I was getting into, because of this situation. A regular business traveller, yours truly, was at stake at this point in time to continue flying with Delta or not if things were not going to be resolved accordingly. The supervisor insisted that Delta would never do those kinds of upgrades and that, if anything, I would have to content myself with getting on the plane on Sunday evening to arrive on Monday to Madrid on economy and spend the night in Atlanta, after all. Oh oh, trouble ahead, as you can imagine! But then again, maybe not! All of a sudden, I remembered all of these wonderful stories about how social certain airlines have become as of late with an extensive use of social media tools, including Delta Airlines with Delta Assist, KLM and Air France. All three of them partners, as you all probably know by now. So during my conversations with Lilia and the supervisor I engaged with the airlines through Twitter as well on my iPhone (And a rather expensive wi-fi bill of a couple of hours!) and although I never heard back from Air France, I did hear back from both Delta Assist and KLM. Very friendly support, for sure, very sound in their commitment to provide support from afar but after a rather long exchange of tweets and DMs none of the two managed to eventually go the extra mile and help this unfortunate business traveller. So much hype and buzz for social media and right there, once again, it all failed for me. I was about to cry in desperation knowing that I would have ahead of me the beginning of one of those weeks difficult to forget. But I eventually gave in. Just wanted to go for a much needed rest and get out of the airport as fast as I possibly could. So I asked the supervisor what we would do then as compensation for having missed the connection and she mentioned they would find a hotel for me near the airport, but, surprise, surprise, that I would have to pay out of my own pocket with my own money! Errr, WHAT?!?!? Really? And no voucher for something to eat for dinner that evening, or toiletries to help me get through that night and the following day? Really? Indeed, NO compensation at all! Yes, that is how you treat your customers, your potential regular business travellers, with empathy and a bit of caring. NOT!! In fact, the supervisor stared at me baffled enough about what I asked for that she suggested, no, wait, she made a reservation for a 47$ per night hotel room, as I seemed to protest having to pay for my own hotel room!, in what I would probably call a motel, according to what I saw. So embarrassing that I wanted to take pictures of it, since I just couldn’t believe it, but it was just so disgusting that I refrained from doing so. And what’s worse, around 4:30am in the morning I had to call reception and protest about the huge, loud noises from people on the corridor at what seem to be quite some wild party! Right, just what I needed! Without hardly any good sleep, the Sunday morning came along and I thought I would, at least, try to advance some work related stuff, before I would be taking my flight back home in the evening. No. That didn’t happen. Apparently, the hotel free wi-fi was out of service for a couple of days due to the weather conditions and the staff didn’t have much of an intention to try to address it before I would be leaving again, so I decided to freshen up as much as I possibly could with a bar of soap and head back to the airport, where, yes, I would have to pay for the wi-fi and all, but, at least, it was working, so I could get some stuff done. And after having spent the whole day at Atlanta airport, working along, I finally embarked on my evening flight to Madrid, in economy, hoping to be in almost a half piece for tomorrow’s (Monday) webinar. And that’s where I am at this moment, while I am putting together this draft blog post. Somewhere in the middle of the Atlantic ocean, hoping to arrive in Madrid at 9:15am approximately (Now writing further on into the future we arrived at 9:45am … 30 minutes late! Again! ), without any other option than spend the day in Madrid since my next flight to Gran Canaria would be colliding with the online event I need to host and having to book a hotel room to try to get some rest, deliver the online session, head again to the airport and, hopefully, embark on what I hope would be the last leg before arriving home. 58 hours later, from last Saturday afternoon, when I left Orlando, I am hoping to be home, perhaps with a jetlag I can’t probably remember in my entire life and which is going to take me days to recover from (First time in my life! ); with a much deteriorated physical and mental body and perhaps much worse with what promises to have been quite a horrifying experience for any road / air warrior out there, because throughout the whole weekend I didn’t get a single sorry nor an apology for the inconvenience, not even an understanding of the disastrous consequences of not having enough rest to deliver an online education event where one needs to be sharp and ready and not a single bit of compensation on something that they clearly messed up themselves in the first place! One thing, for sure, I no longer expect a response. Nor an apology, or a sincere token of gratitude to compensate for the damage done and incurred. It’s already too late for me. I am usually very patient with these kinds of things, since, like I said, they happen far too often, but they say you only have got a single chance to leave a first good impression on someone and somehow Delta Airlines, along with KLM and Air France, since they are all now partners and on the same boat altogether, just managed to mess it up and big time. And, even more, they have all proved, and rather well, that some times, even social media isn’t invincible or that magic solution that will get you out of trouble. At least, for me, which, as a social computing evangelist, I find extremely disappointing, since what could have promised to be quite an amazing success story, it turned out to be one of my worst nightmares to date, with regards to travelling. Thanks ever so much, Delta Airlines (KLM & Air France), once voted #1 US Airline for Business Travelers, which I can certainly start to wonder now, for proving, once again, how broken the airline industry is at the moment and why I keep longing and anticipating for a massive, much needed, reboot of the system. That same industry most of us once loved, but that we cannot longer say the same. Your days are numbered. No doubt about it after this weekend’s experience. You can surely feel the vibe and the excitement building up nicely over the last few hours. I’m already in Orlando, Florida, having had a really good night sleep and plenty of rest, probably the last one of the week!, once the Lotusphere mayhem breaks loose and chaos unleashes with no remedy and I can already see lots of buzz and people getting excited about what’s to come over the next few days. So I thought that perhaps for the potential last blog post from yours truly for a short while over here, while I get to enjoy plenty of offline social networking, it would be a good thing to share some insights around the agendas of both Lotusphere and IBM Connect that will be kicking off officially tomorrow morning and that, by the looks of it, this year they are much more social than ever before! Yes, that’s right! If there would be a single keyword that could describe quite nicely both agendas from both events running in parallel that keyword would be social. This year, more than ever, we will be seeing how Lotusphere has become more socialised than ever before and the IBM Connect parallel event that got kicked-off last year surely has improved, and tremendously!, the overall quality of the lineup of speakers and the overall topics themselves as well. It’s going to be tough to choose between one or the other, or perhaps try to attend both! JumpStart & Master Class Sessions: The warm-up of the conference event for sure and the one that sets the stage of what’s about to happen in the next couple of days. Already started on Sunday morning and throughout the whole day, it will bring folks an opportunity to get exposed to the main themes of the conference through the week. Insights and Innovation: Tracks that “focus on the business value, implications and opportunities of new technology” and perhaps the perfect opportunity to see what IBM Research has been working all along in the last year, specially, in the area of Social Research for social computing. Technology for Collaboration Solutions – Infrastructure & Deployment: This is the perfect track for techies out there to get exposed to a good number of IBM Collaboration Solutions covering multiple areas from traditional offline collaboration, real-time, or social collaboration. There will be a track out there for everything to meet their taste(s). Best practices: Not liking much the term, as you folks already know, if you have been reading this blog for a while, but this track focuses on sharing good practices on applying technology to complex problems, scenarios, business issues, etc. etc. to get the most out of what technology can do to help out business become more effective at what it does already. Customer Case Studies: This is probably my favourite track from Lotusphere and the one where I feel I am going to be spending most of my time attending the various different sessions from IBM customers who will be sharing their experiences, as case studies, on how they have become a fully integrated social business. This is the one that has always become my main source of inspiration for learning about what’s happening out there, outside IBM’s firewall, on what other folks are doing to push forward for innovation, open collaboration, and open knowledge sharing to become more effective businesses at what they are already excelling at! Always very inspiring to see what other people are up to and how we can learn plenty more how to leverage some of those good practices, techniques, solutions to our very own issues. After all, it’s just too scary to think how close our corporate environments are to one another! Show and Tell: The practical track. The one that is most oriented towards those folks who would want to see technology at its best, applied with plenty of good, hands-on live demos of what (social) tools can do for you. Very helpful for those folks who would want to play with the tools and learn plenty more about them while at the conference! Now, to mention and share all of the different sessions for each of those tracks would probably make it a bit cumbersome to go through all of them. So, instead, what I would like to do is to point you folks to the absolutely delightful piece of work from The Turtle Partnership, that, once again, has pretty much nailed it with the must-have, essential LS Mobile App that contains all of the tracks with all of the sessions and its full details, and a great opportunity to add them into your own calendars, which is basically what I did yesterday while on the plane and my calendar for this week looks massive, to say the least! W00t!! Can’t wait!! 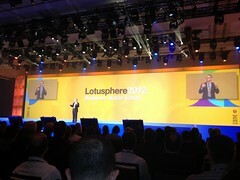 But that’s all for Lotusphere. Like I said above already, this year I’ll be attending the IBM Connect event as well, where the agenda itself is probably one of the most impressive ones I have seen in a long time with regards to Social Business related topics. As you would be able to see, it includes top notch, high quality external speakers like Guy Kawasaki, my good friends Sameer Patel and Rachel Happe, plus a whole bunch of IBM customers ready to share their story on what it is like becoming a Social Enterprise and its real value and business benefits altogether! It’s going to be tough to try to select amongst the various different tracks for this parallel event, but will be trying my best to select the ones that I would think would be the most beneficial for everyone to enjoy from my live tweeting that will be starting up soon, within the next few hours. Like I mentioned in yesterday’s blog post, there will be plenty of options and opportunities to follow up the various different keynote sessions, including the OGS (Opening General Session), as well as various other breakout sessions, but one resource that I thought was worth while remembering and bringing it up again would be the great and unique opportunity to livestream a good number of those sessions. You can find a pretty good and comprehensive blog post with the scheduling over at this link, put together by Constance Daglis. Worth while looking into it, specially, knowing that there will be recordings afterwards, in case you may have missed them during the live sessions. I guess that would be pretty much all of it. Like I said, I will be doing lots of live tweeting on the sides mentioning which sessions I will be attending and all to, hopefully, give you guys a glimpse of what we are about to get exposed to ourselves. But I wouldn’t want to finish off this blog entry without highlighting one of the main activities that those folks attending live should not let go by just like that. It’s probably one of the most impressive and immersive experiences you can enjoy while at Lotusphere and that is to visit AND participate in the various IBM Labs available, specially, the User Experience and Innovation Labs, along with the Developer ones where you will have a unique opportunity not only to interact with developers and designers of various IBM technical solutions, but you would also have an exclusive opportunity to check what even us, fellow IBMers, have not seen just yet: IBM Research with their social innovations getting ready to show the world what they have been working on over the course of the last few months. This experience of the Labs is, by far, one of my all time favourites, because it just gives us all an opportunity to not just witness and experience the world of social today, but also the world of social of tomorrow! Which is, no doubt, when it really gets exciting! And I am hoping to be sharing plenty of insights in this regard as well as I get to spend plenty of time with those folks learning, interacting and participating with them throughout the entire week! Get ready! Both Lotusphere and IBM Connect are already here! The buzz is already building up quite nicely, so you better prepare yourself to be WOWed and overwhelmed once again! Because you will … no doubt! And I just can’t wait for it to get started! Yesterday was my last vacation day and today, once again, to kick off another exciting year ahead of living social, and a few other things, I am sure!, I am on the road again on what means my first business trip of the year, with plenty more to come along over the next few months! And like every year, it is time for that yearly pilgrimage to what, to me, is *the* main IBM event of events on the topics of Collaboration, Knowledge Sharing and Social Business and, specially, this time around more than ever. Of course, I am talking about the IBM Lotusphere 2012 event, which this time around, also comes along with the second edition of the CONNECT 2012 event. Orlando, here we come! Are you ready? The first word that comes to mind when describing what we are about to experience, those of us, lucky enough to be there in person, is probably going to be overwhelming. At best. And very much so! The amount of online resources, references, places to check out (and hang out for a while before, during and after the event! ), communities to join, blog posts, podcasting episodes, live tweets, plusses, articles, various press releases, and whatever other publications that keeps popping up all over the place (And we haven’t even just gotten started!) surely don’t have anything to envy to the real life experience of being there, where this year there are going to be even more social activities than I can remember in the last 4 editions that I have been to so far! It’s going to be rather difficult and very tough at times figure out what to do and where to go to, thinking about the richness of what promises to be a great event, for sure! But that’s just fine! That’s where I am hoping that serendipity will do its magic (once again) and help out clearing up the good mess and total chaos we are just about to get exposed to. Last year it did such a wonderful job that perhaps one of these days I should describe on a blog post how I look up to these kinds of massive events without having that sense of having lost it all and lose track of everything that’s happening… But, so far, it looks like my tips for those folks going there for the first time still stand more relevant than ever before for yours truly as well: walk around with a couple of good, comfortable shoes and network! Never stop moving! The rest will come at its own pace! For those folks who may not be coming to the event though, but who would still be interested in finding out some more of what will be happening, there are lots of ways to catch up with it altogether. Let’s start perhaps with some of my favourites… Beginning with the Lotusphere Social Media Aggregator or the Social Business Aggregator, where people can follow up with all of the social media activities coming along in a single place. No need to have multiple windows open or anything; those two aggregators will help folks get sorted out right away! Phew! And thank goodness for that! But there is more! Watch out for the #TEAMSOCIAL group. A very special group of very smart and talented folks, which includes plenty of the IBM Champions recently announced and fellow IBM volunteers, who will be making sure that this year you are the one who becomes more social than ever!, by putting together a whole bunch of different activities that I’m sure will get publicized in time for everyone to enjoy the experience to the max! There is also an official blog for the event: The Social Business Insights, where a bunch of guest bloggers will be sharing along their experiences, insights, and highlights of both events before, after and during the course of the entire week! Worth while subscribing to it, for sure! Then we move into the online communities space where there are a whole bunch of options in there already up and running. We will have the IBM Lotusphere Community, the IBM Connect Community (Notice that for these two you would need to have an account over at the Greenhouse), the IBM Social Business Facebook page, the Lotusphere Community LinkedIn community and other groups like the sempiternal PlanetLotus, which will continue to always provide lots of great insights not only on both events, but also on the overall IBM Collaboration Solutions community (Formerly known as Lotus). On the YouTube front there will be a couple of channels to watch out for. Starting off with IBMSocialBizEvents, followed by the IBM Social Business one and perhaps also the IBM SmarterPlanet Social channel, where I am sure we will starting seeing a whole bunch of video interviews, and recordings of the various different activities during the event. Lotusphere and Connect 2012 will also have a strong presence in Flickr with a couple of links that will try to capture most of the imagery from the event. Starting off with the IBMSocial Business account or the Flickr group IBMSocialBizEvents. Of course, on a face to face conference event things would not have been the same if we didn’t have our mobile devices to help us enjoy the experience even more. And this year both events come fully loaded with lots of social mobile opportunities. Going from Foursquare checkins (Even for sessions! ), the always incredibly helpful LSMobile Session App, Instragram and a few other bits and pieces that I am sure will gain air coverage as we move closer to the starting time. So stay tuned for more to come along! And then, finally, my favourite resource of them all and the one that’s surely going to challenge the way I have been doing live tweeting, blogging, plussing in the past, which is the availability of Livestreaming of a good number of the keynote presentations (the Opening General Session, a.k.a. OGS), and breakout sessions which would surely give a new dimension to the entire week. The main link for the livestreaming will be over here with the corresponding replays over as follows: Lotusphere and IBM Connect. I bet I am leaving behind plenty of stuff, for sure! Hoping that, if that’s the case, folks who may have had an opportunity to absorb more of the events logistics may be able to drop by and share their thoughts in the comments adding further on some more of the activities that will be going on… That would be much much appreciated by everyone, including me!, to figure out what’s happening this year. Now, to close off this first initial blog post from the series of entries I will be putting together, to share along plenty of the highlights from both Lotusphere and CONNECT 2012, here’s the challenge I am facing this year with what I hinted earlier on about my own live tweeting, plussing or blogging experiences. If the vast majority of the keynote sessions and breakout sessions are going to be livestreamed, like they are starting off on Monday morning, what’s the point of live tweeting or live blogging, without risking the opportunity to repeating yourself, amongst several other hundred twitterers and bloggers when people out there may be able to watch the sessions online, even with the replays available right afterwards, as well as the opportunity to download the presentation materials for each of the sessions? Hummm … I am not sure what you folks would think about, but the last thing I would want to do is bore the online audience(s) to death with repeated messages or blog posts about the very same stuff they may have seen themselves through the livestream. It would sound pretty much like a “marketing” machine-gun of mindless tweets and retweets that I am sure are going to turn people completely off right from the start! Nice challenge, eh? And a tough one to come around it, I would think! So this year I have decided to take a different approach. I will be doing some live tweeting over at @elsua for both #ls12 and #connect12 but, instead of reporting live the course of events from the keynotes, as well as the breakout sessions, I will just be doing some casual live tweeting, but always trying to add some new insights on additional thoughts, with the aim to make it somewhat original and provide rather my ¢2 on what I have learned, what I may have found important, or what I would think would be of interest to those folks I have been interacting with for a while or, just simply, what may be worth while annotating without sounding too repetitive about all things Social. Then when I get back home next weekend, after the event is over, I will be putting together a series of blog posts where I will be sharing my major highlights from both events, as well as what I have learned throughout the entire week and some additional thoughts folks may not have heard or read about from what we get exposed to. I was initially thinking about doing some blogging during the course of the week as well, but knowing how challenging that’s going to be with a non-stop conference from 7:00 am till 7:00 pm, plus the extra curricular social activities, I think I’m going to spare the very little energy left that I would have (And, most importantly, the last few hours of sleep I will have!) and save it for something that time and time again I just can’t get enough from live events: offline social networking! 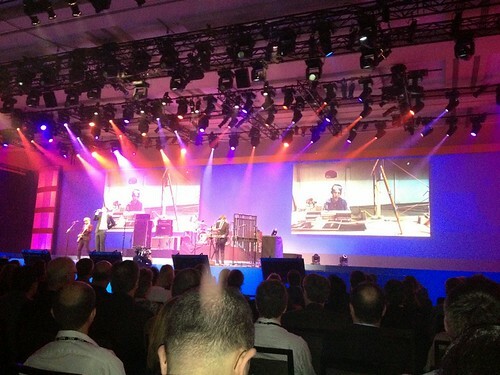 Look forward to seeing you all at Lotusphere and IBM Connect 2012 … Oh and don’t be shy! Say “Hi!” whenever we may bump into each other! The week is long, the conferences are just about to get started. Let’s go! Let’s keep having plenty of good fun altogether!